Shahs of Sunset star Mercedes "MJ" Javid is pregnant with her first child, a year after her marriage. And now, the lady opens up about 'Blessing' of Pregnancy after IVF. She couldn't be much happier than this! Let's take a quick glance at her relationship including Mercedes Javid's nuptials and the baby in her belly! The newlywed couple Mercedes Javid and Tommy Feight are all set to welcome their first baby. Recently, the reality star took time for looking at her relationship in a glance. Mercedes 'MJ' Javid and her husband on their nuptials. Mercedes and Feight walked down the aisle on April 21, 2018. 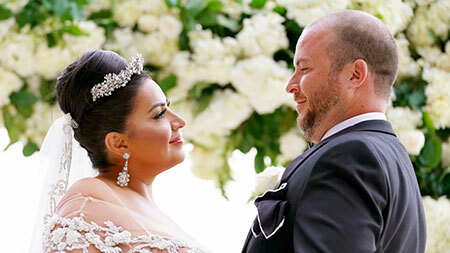 Just like every other Shahs shindig, the nuptials of MJ and her husband did not disappoint its spectators. As a matter of fact, the biggest day of Mercedes got filled with glamour, glitz, surprises, and a little bit of drama. 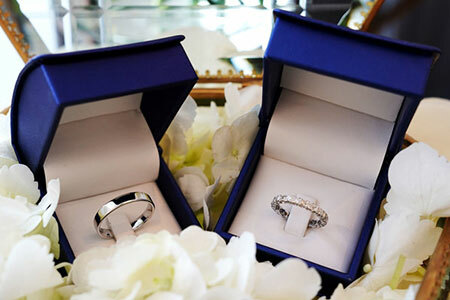 Mercedes 'MJ' Javid and her husband's wedding ring. Mercedes recently reflected on her wedding day and explained why she left her husband Tommy, waiting at the altar for an hour. “I picked up the flower girl and my dress completely fell off … It just fell off my shoulders all the way down. My dress wasn’t ready.” the Bravo star, 46, told Us Weekly and other reporters at the Third Annual Vanderpump Dog Foundation Gala. 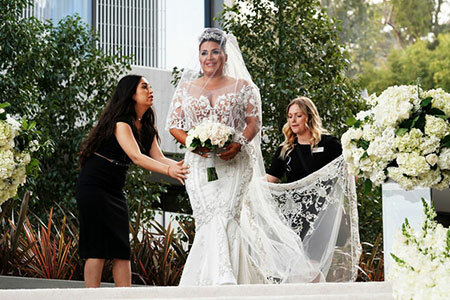 Earlier this month, it was reported that the ceremony was filled with drama where Javid ran late to her nuptials at The Jeremy West Hollywood. Mercedes 'MJ' Javid reveals the reason for keeping her husband waiting for an hour down the altar. In April wedding, Feight, 46, looked nervous, however, he kept himself calm and cool while waiting for his then-bride-to-be. Now, both the lovely couples are eagerly waiting for their first baby. Until then, we congratulate them in advance hoping to hear more positive news pretty soon! The Shahs of Sunset's Mercedes 'MJ' Javid is expecting a baby. Initially, the news broke out in October 2018 when MJ announced that the duo is expecting their first child together. Above all, it's a baby boy! Mercedes 'MJ' Javid reveals she and her husband are waiting for her baby. Mercedes, 46, couldn’t be much happier with just a few weeks to go until she becomes a mother of her baby undergoing in vitro fertilization. Nonetheless, she’s not shying away from the public despite the “mommy-shaming” she is already enduring. She discovered expecting her first baby in August via in vitro fertilization after she struggled to get pregnant naturally for some time. Furthermore, she adds; “You know, I can’t remember a lot of my childhood and I definitely can’t remember being born, so I think it’s just going to be a beautiful blessing." Mercedes Javid was born on August 12, 1972, in the United States. At age 14, MJ put on diet pills as prescribed by her physician to lose extra pounds. In 2002, Mercedes graduated from California State University, Northridge with a Bachelor of Arts degree in English Literature. Mercedes and her mother Vida Javid has a very difficult relationship and argue frequently on the show. Javid and her father, Shams Javid however, were very close before his death in May 2018. As of 2019, Mercedes Javid's estimated net worth is $5 million.